1 small walnut bowl, 1 medium chestnut bowl, 1 large elm bowl, 1 extra large birch bowl. A great party piece to have on hand. 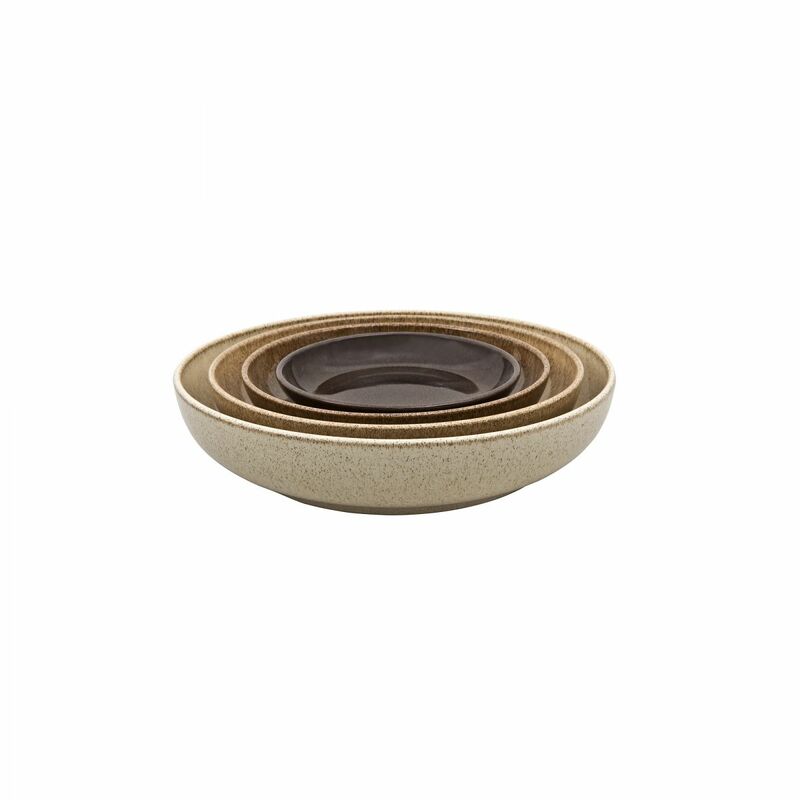 This set of earth tone nesting bowls are tough enough for everyday use and also stunning enough for best. These small, medium, large and extra large nesting bowls sit neatly inside each other for impressive serving and also ease of storage for our ever growing tableware ranges. They are great pieces individually for serving and dining as well as a being used as a complete set.